Choose a level to complete at the fabulous pattern and try to assemble an object through collecting all important parts. Eject them from the pattern and use various bonuses to earn a gold start for your speed. Have you ever wanted to be a part of the exiting story? 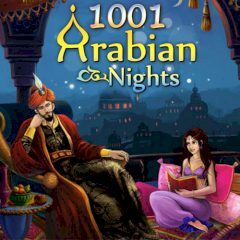 In 1001 Arabian Nights you will have that chance. Move tiles and build a line of three or more similar tiles and push key objects outside the pattern. Do everything quickly and get three stars for your speed and accuracy. When the energy is full, release it and get rid of random tiles!